Hello everyone, Alison here. It is so good to be back sharing my next round of projects. The craft-time for this week's makes was carved out of the sharp end of a chaotic house-moving schedule, so I wanted to allow myself some pure crafting joy. There's nothing necessarily ground-breaking here technically, just me having fun with lovely paints, stamps and inks. I started with two tags, a stencil, some medieval music on the CD player, and one of my favourite ways to create a background. I love working with paints and inks next to each other for the contrast. 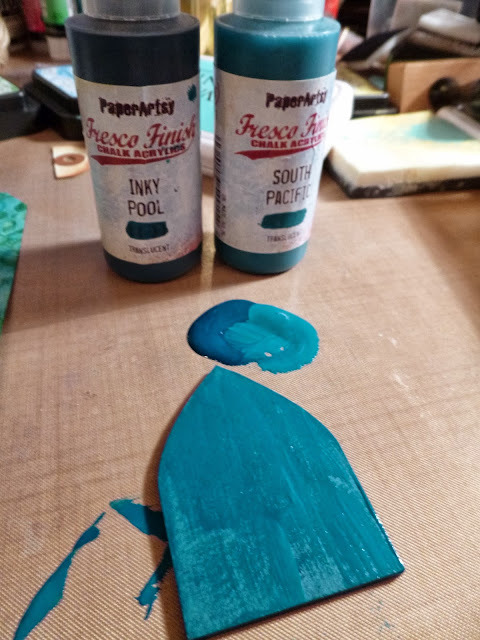 Fresco paints with their chalky finish are particularly good against translucent Distress Inks - even the translucent Frescos, though for the full effect you probably want some opaques involved. 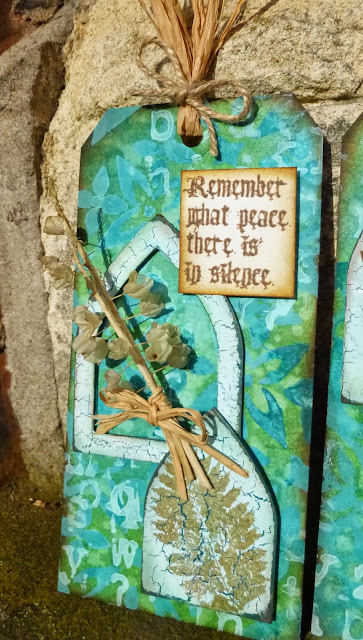 I sponged three of my favourite colours through the stencil onto one tag, and then flipped the stencil straight over onto tag 2 and pressed down to transfer the paint onto the the tag surface. I love doing this, as it gives me a pair of tags straight off - which always sets my brain off working on partner pieces. ... around and over the paint. I usually let the water sit on the surface for a few moments before applying some paper towel to soak up the droplets, and then drying with a heat tool. I never tire of this look, or of the glowing ink against the chalky paint. As you'll have worked out by now, I like building up layers in my backgrounds, so it's time to add some stamping. 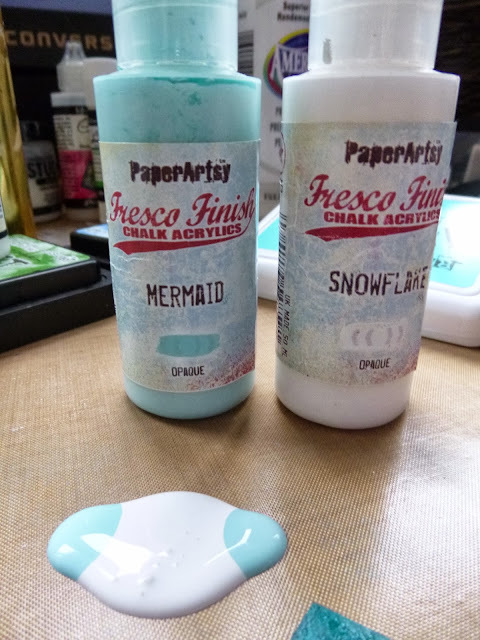 I used the Ink and the Dog Words 2 plate and some more Mermaid paint for the first layer, applying the paint to the stamp with a bit of Cut N Dry foam. The opaque paint really holds its own against the busy background. I used the same stamp, but this time with some Aquamarine Archival Ink to add another layer. So, now, what to do with my two beautiful backgrounds?! 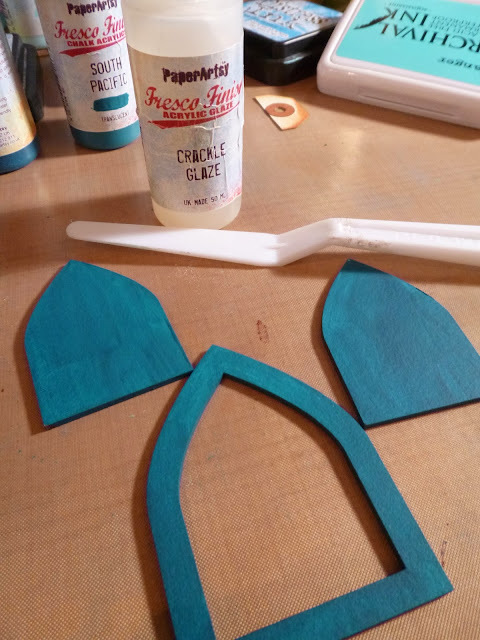 Leandra included some Tando arches in my goody box, and the Gothic shape suited the mood created by the music and the crafting so far. ... and then some Crackle Glaze over the top. Back to lovely Mermaid, combined with some Snowflake, to go over the top of the Crackle Glaze. I applied it with a sponge instead of a brush to get a random porcelain crackle rather than directional "woody" crackle. And then I inked it with some Mowed Lawn Distress Inks, so that it would tie in with the background even more. 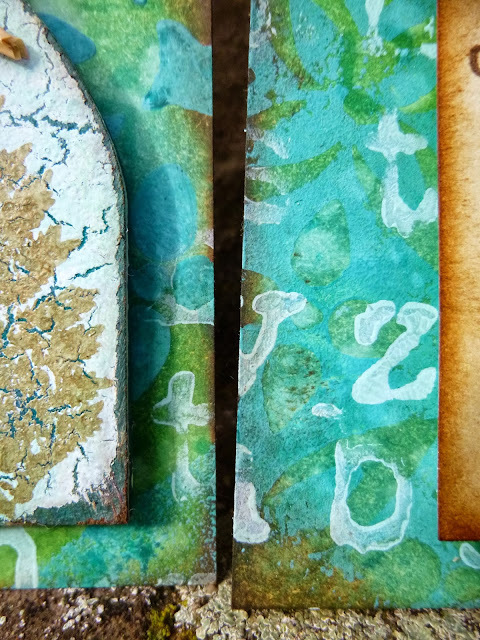 Some more stamping now, and time to introduce my main stamp sets for this month's posts: the Urban Snapshots Nature plates. ... using Potting Soil Archival Ink - how's that for a "natural, earthy" colour?! And I stamped two of the sentiments onto some plain paper in the same colour. Out with my favourite Vintage Photo Distress Ink to do some edging around the sentiments. And of course, I ended up blending some Vintage Photo onto the edges of the tags too. I love how the ink takes differently according to whether it's over ink or paint, creating different textural layers. I arranged all the elements using padded tape in either single, double or even triple layers to give various levels of dimension. 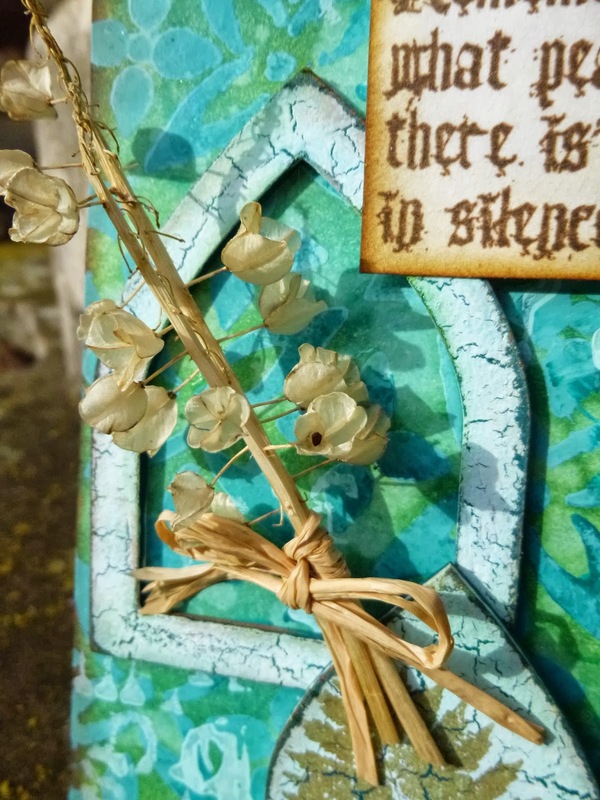 The final ingredient came direct from nature: some dried Grape Hyacinth seed heads from my mother's garden in the Czech Republic. They're so beautiful and very delicate... 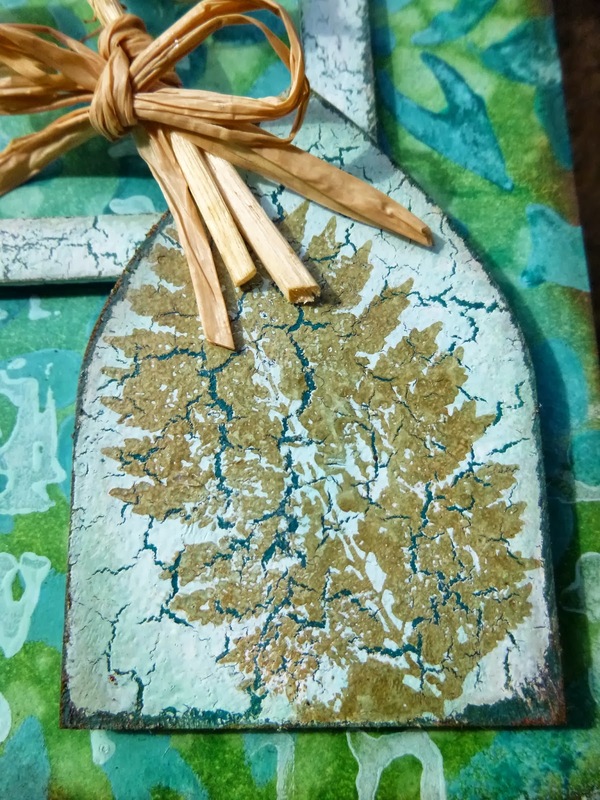 I bound a couple of stems together with raffia to get the shape I wanted within (and without) the frames. So there's my pair of tags... it took a while playing with the composition of the elements to get them to complement each other. 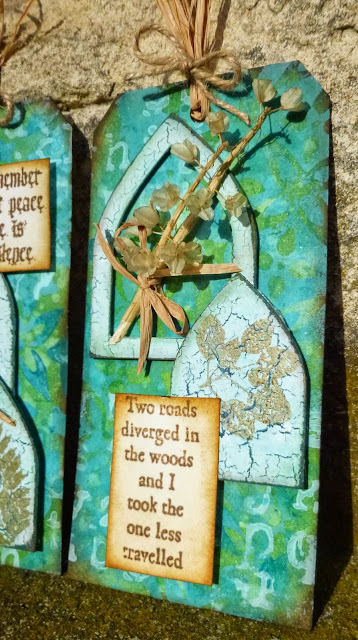 I started with positioning the hollow arches to "frame" some of my favourite bits of the background, but then once the seed heads arrived, I realised it was better to position the frame to avoid my favourite bits, otherwise they got to covered up by the flowers! I kept the topping for the tags very simple and natural too: some lengths of raffia tied together with twine. I'm really happy with the dimensional layering of the elements. And overall, these tags gave me some real peace and solace in the midst of a very trying time... crafting comes to the rescue again! I hope they inspire you to indulge in some joyful creating too. Leandra Says: The balance of composition is just brilliant Alison, you have a real natural ability for this. The colours and use of natural materials were just perfect for this stamp collection. Excited to see what else is coming up this week. Gillian Says:Beauuuuutiful composition Alison, the depth to the layered background and the crackle effect looks fab. They are really really beautiful! Wonderful tags, love all the layers of colour and the seed heads are just amazing. Welcome back! Absolutely beautiful. The depth of color and pattern is wonderful. I also love those stamp sets, so they're now on my (rather long) wish list! Thank you so much for a fabulous post! I've been crafting all day and feel tired but after seeing these exciting tags I'm so inspired to go back in and start something myself. I too love these colours and I really like the ties at the top great project. Love the background you created Alison. Love your tags. 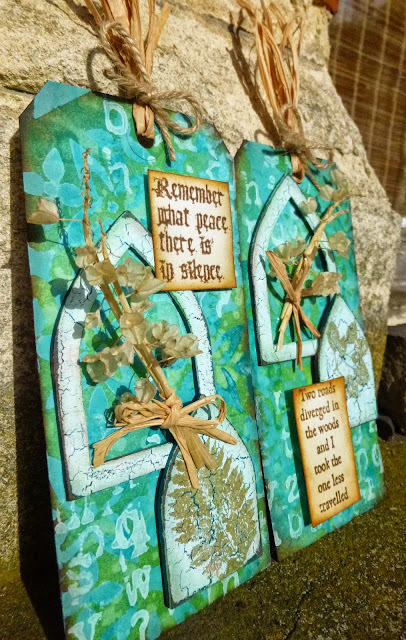 Great technique with the stencils and gosh for a change I have some of the stamps and paints used!! Love those nature stamps. Absolutely amazing Alison. Such gorgeous use of colour and texture and the overall effect is so serene. Wow what gorgeous tags..I love the mix of the frescos and the distress inks!! my fav colours too. Love all the different layers and the quote from Nature one is one of my favorites too..
What gorgeous tags definitely inspired me to gave a go this week. Lovely. These have such a serene air about them. Love the colors and the seed heads are awesome. Appreciate the tip on applying the paint in a different manner for the different crackle effect. Great tags Alison, wonderful layers and I love those crackled arches! Great creations and wonderful quotes Alison...love the stunning details! Fantastic Alison...just gorgeous.Love the colours and the step by step how to get there...beautiful. Beautiful tag! Lovely blue colours combination. Thank you for share of us. really lovely tags. gorgeous backgrounds. Beautiful tags Alison! Love how you started with the positive and negative of the stencil. Two beauties! Wonderful colors and textures. Great tutorial too! Love those dried flowers. Perfect with raffia. Fab-u-lous Alison! The grape hyacinth looks so right at home on these tags. Great tutorial too. Want to get my few chalky paints out now. Beautiful Alison! Thanks for sharing your creative process! Absolutely worth the click to view these masterpieces. Holy Moly Alison! These are stunning and I don't have a particular favorite part because I love each step. 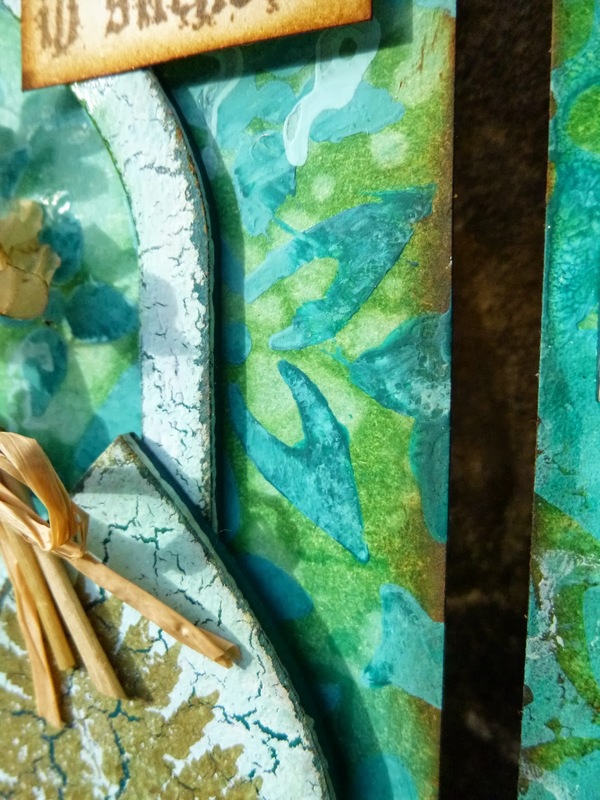 :) Beautiful way to display color, texture, light and your sentiment is a personal favorite of mine. Love, love, love these!!! Thankyou for showing your magnificent art work, in so many steps,-it is a delight to see all the photoes, and learn what you do. The result is stunning Alison. 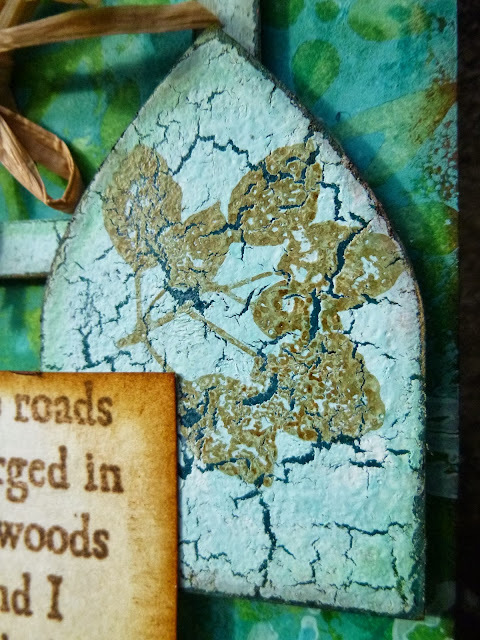 Absolutely fabulous tags Alison - the colours are just stunning and the step by step really shows how many layers you have on there! Fabulous!! So very beautiful. Gorgeous colours, fab layers & textures, I love them. Just gorgeous work. Love every element, and your description of building up the background. Thnanks so much for taking so many pics and sharing with us! Big sigh - I like you too much to be jealous!!!!! Just crazy about your tags. You are truly very talented. Grateful that you shared this tutorial. Thanks a lot !!! It's amazing how your tags turn out. All of those layers really do create such wonderful debth! Plus I'm a fan of anything blue and green. LOL These are just beautiful, and I love the crackle finish too! Really wonderful post! Thank you so much for this!